Robin Hood has always troubled me as a character, his persona in the past 50 years of media has always been a little bit ‘goody two shoes’. Between Disney, general folk lore, films and 90% of the BBC dramatization he’s always been pushed as a holier than thou martyr who’s only real sacrifice has been that he has to live in the woods, other than that his life always seems pretty grand. The closest the character has been to interesting is more unusual retellings with characters like DC comic’s Green Arrow (and the excellent Arrow TV series) and weirdly the 90’s children’s TV classic Maid Marian and her Merry Men, which portrayed Robin as a slightly dense and arrogant fool. 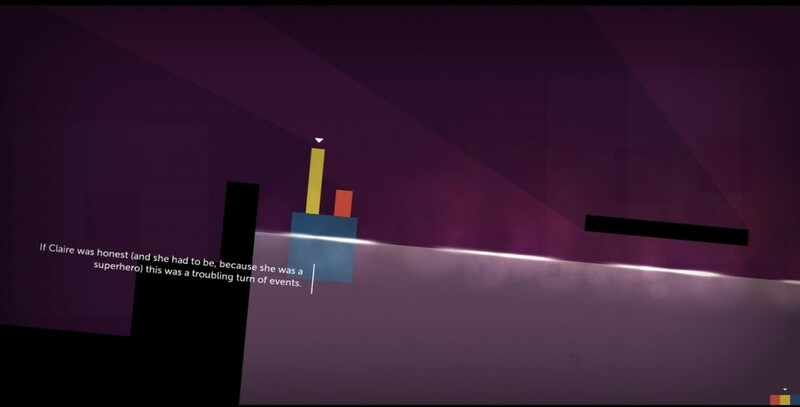 Now I have a new retelling to add to the list, Volume the new game from Thomas Was Alone creator Mike Bithell. 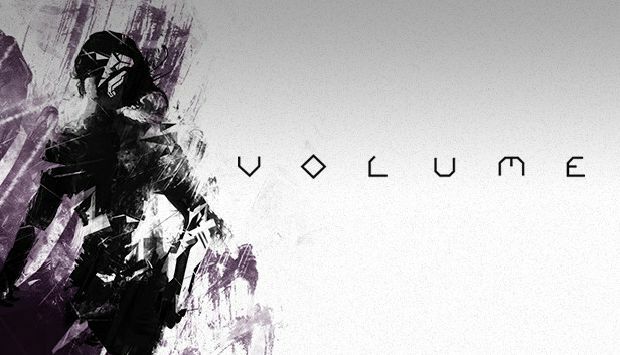 Volume was first released back in August 2015 PS4, OS X and PC but saw a pretty hefty delay for its Vita version. 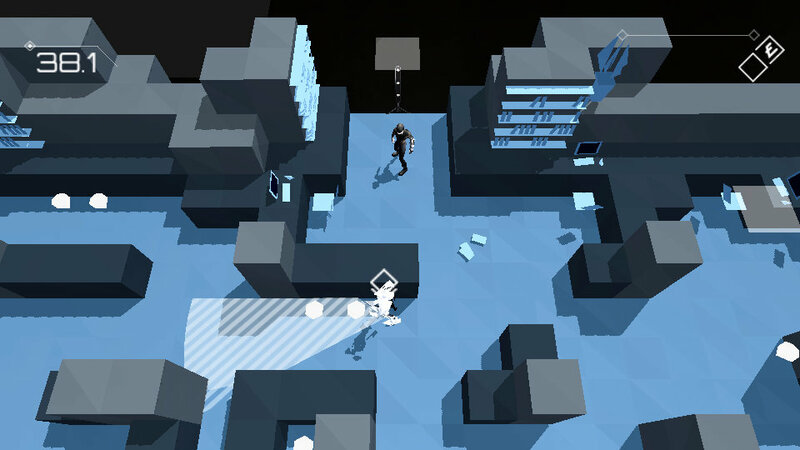 Mike Bithell’s first release was a game that at first glance was the most simple puzzle platformer featuring character design that seemed barely past the proof of concept stage, a series of quadrilateral shapes. 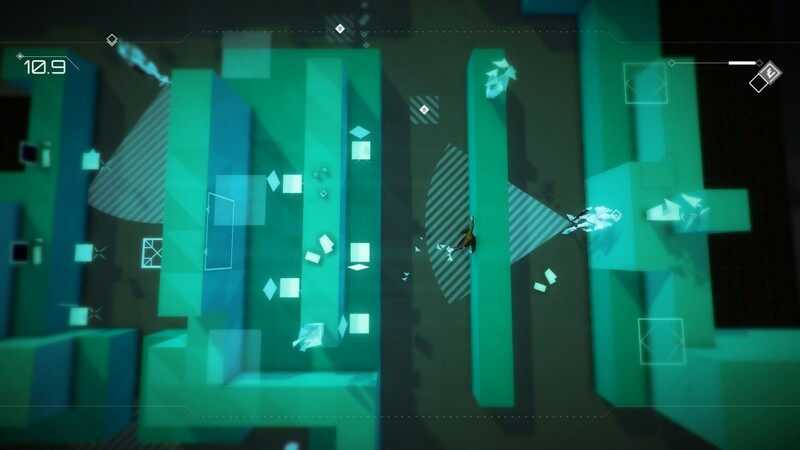 Minutes into Thomas Was Alone you realised that you were playing something special, not necessarily for the gameplay which became somewhat repetitive by the final act, but instead you saw Mike Bithell’s unsung strengths; tone, writing and atmosphere. Without a doubt Thomas Was Alone, a story that became about shapes learning about life and society from the perspective of accidental AI, wouldn’t have been what it was without Danny Wallace’s excellent narration and David Housden’s soundtrack which even now is on rotation in my music playlists. Thankfully Bithell has been intelligent with his staffing for Volume bringing back Wallace and Housden to a his latest release. Volume sees you play as Locksley, a future interpretation of Robin Hood, as he broadcasts his thieving of virtual representations of the homes and offices of the evil elite of Britain. Aided on his heist streams to the public is Alan, an AI created by Gisborne Industries, voiced by Danny Wallace. With a series of gadgets and most importantly your eyes and some patience you must play through many games of hide and seek with security guards and make it to the exit of each level whilst picking up the treasure. The story paints this Locksley in a futuristic state of rebellion, he’s showing the people how to hit the elite where it hurts and take back their land one robbery at a time. It’s hard at first not to look at this as something very close to a Metal Gear VR missions, the game requires you to hug walls, hide in shadows and be permanently vigilant of vision cones emanating from all the enemies and security devices that Gisborne and his cohorts have in place. Locksley is voiced by Charlie McDonnell, a Youtuber that is popular with the youth, so I’m told. When I first heard of this casting I can’t help but admit I was sceptical, but the meta nature of one of Youtube’s biggest stars playing this voice of the people and streaming crime is such a clever move by Bithell that you can’t help but admire the cojones to go with such a play. It helps that Charlie McDonnell’s voice fits so perfectly, the role was made for him both in terms of character but also script that it means you believe that this whole scenario could play out in such a way. Not a reluctant hero, but a hero that has no choice but do what he has to. 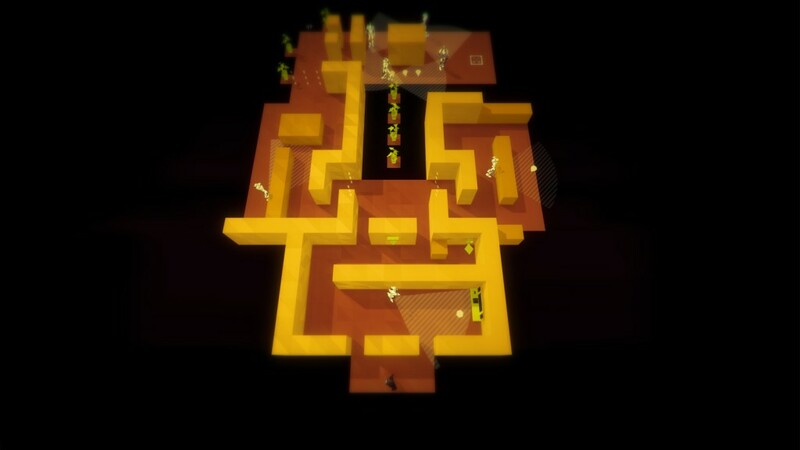 The game is broken up into maps, short puzzles/levels that will take a few minutes to complete. The 100 minimalist isometric scenarios are each centred around a myriad of Britain, and Gisborne Industries’, worst. The Banker, The Soldier, The Actress are all people you must show the people how to take from. The world that Bithell has created is deep and interesting for its creation and bastardisation of the lore that we are all so familiar with, but then we hit Volume’s biggest problem, the conflict between game and story. Every level features a leader board of completion times, the game is made with speed in mind and it doesn’t necessarily penalise you for slow times it does make a big deal out of the whole speed run concept that you are always trying to do the most efficient run. The problem comes with the voice over work by Charlie and Danny, especially in early levels. Even at a leisurely pace the audio wouldn’t finish before I reached the exit so I would just have to stand there and wait for the story to complete before I walk into the column of light. I remember having a similar issue with Thomas Was Alone, my desperation for more story led to the pacing to be caught out. I don’t want less story from Bithell, this is an underrated talent of his, I just need there to be more consideration to the length of speech in each level. With two games under his belt Mike Bithell is already on the verge of becoming the video game equivalent of an auteur, themes are starting to appear and thanks to his seemingly close-knit team he has created games that have a focus on shapes and an attention to design that is to be admired. With the start of each level the world forms around you with triangles falling into places creating the land. The enemies are built with further triangular designs that come together like armour on an invisible body. With a myriad of gadgets that help Locksley on his journey through crime and rebellion it’s easy to feel like there’s only ever one solution to the puzzle, it’s not often there’s room for improvisation or experimentation. As soon as your given your gadget in a level you know that this must be how you do what you need to do. The exceptions come with the user-created levels but this is a minefield of quality. If you were to look at the latest releases of levels you’ll see about 100 named aosfbnaogiubogna or 1 -2 -3 etc and then a level that is a straight line complete in 2 seconds puzzle. Thankfully Bithell has created staff picks that mean him and his team of moderators can at least pull away some of the gems and feature them for the masses. At its heart Volume is a conflicted game, it wants to be a world heavy with lore and story that you learn from Danny Wallace’s, Charlie McDonnell’s, Jim Sterling’s and Andy Serkis’ stellar performances, but it also wants to be a fast stealth game. It struggles to find the balance and often one is going to be sacrificed for the other. As a game it’s an amazingly designed experience that has a feel of its own that is perfect for the Vita’s pick up and play mentality. As a story Volume is equally as impressive with a real cast of characters you want to learn more about especially the seemingly innocuous at first glance e-mails you pick up. I just wish more than everything these two elements gelled together better.